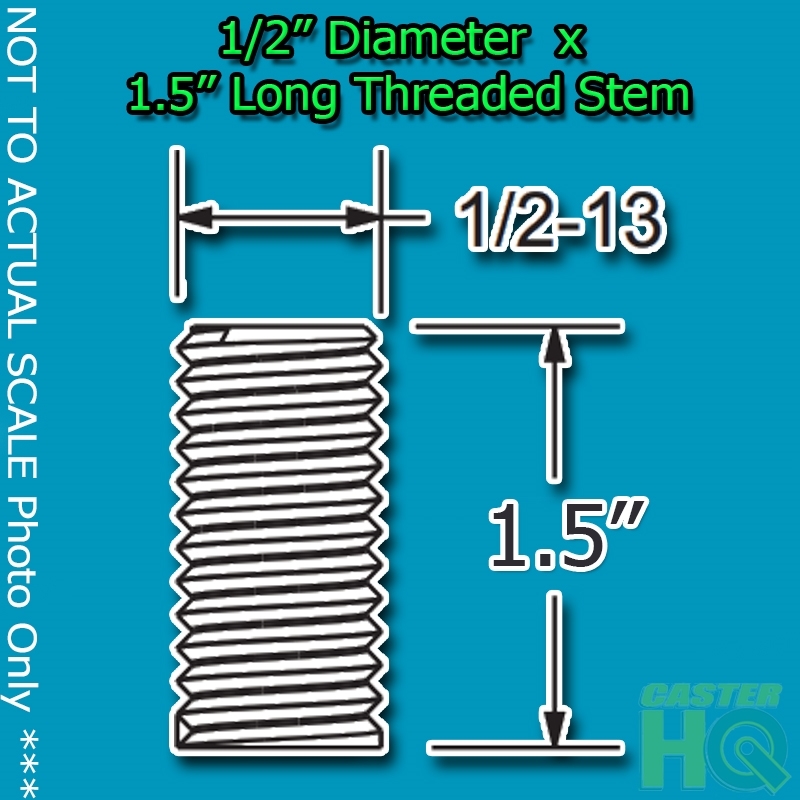 Caster HQ's ® 24 Series is a very versatile and economic caster. These are perfect for maintenance carts, food service, material handling carts, bakeries, stocking carts, dollies, and more! This product listing comes with a high quality Gray Cast Iron Steel Wheel. The wheel provides an easy push / pull and start up operation due to the hardness of the wheel. It's great for smooth concrete floors that are clear of debris. Steel wheels need a clean environment and smooth floors in order to roll efficiently. The cast iron wheel is strong and durable with a high capacity. The wheel is long wearing, and can withstand high temperatures, abrasion and shock impact applications. The wheel is cost effective and a great choice for heavy loads. This Swivel Caster section contains a Double Ball Raceway for easier swiveling / turning action. Our Forks are made out of Heavy gauge cold rolled steel for a stronger and longer lifespan. The swivel raceway contains a Raceway Seal to protect the bearings from accumulating dust and debris, and the caster is finished with a zinc coated plating for extra rust resistance and durability. This caster and wheel combination is very high quality and the most competitively priced on the market. If you find the same caster and wheel on the market for more let us know and we'll beat the price! 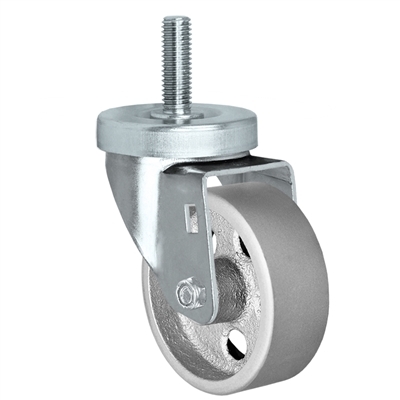 We pride ourselves in having the highest quality Casters and Wheels at the most affordable prices. STEM SIZE: 1/2-13 X 1-/2"